Hey ya'll! So, I've decided to start a new series on the blog about all of the awesome stuff I come across when I'm out thrifting and such. And it won't just be limited to thrift stores. 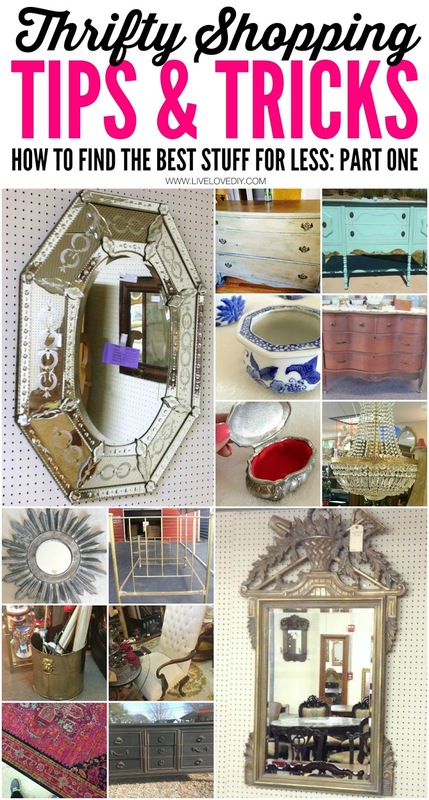 There are tons of amazing places to find discounted or second-hand home decor... yard sales, Craigslist, Ebay, auctions, estate sales, antique malls, vintage shops, consignment stores, salvage shops, and even a few retail places that I love. Let's not put a time stamp on the series, but just know that it's gonna be recurring. Unless you hate it and then we'll just pretend it never happened. Like a bad perm. So, anyways, during the house renovation over the past few months, I decided to get rid of about 2/3 of our stuff. It was totally crazy, but I wanted a fresh start, and this seemed like the perfect time to do it. Plus, since Jesse just needs a blanket and a box of poptarts to be happy, he was totally on board with my crazy house purge. So I sold a lot and then donated the rest. Basically, a lot of my thrift store junk ended back up at the thrift store. And as a result, I've spent the past few months searching my favorite spots (some are just local, some are nationwide) for items that better achieve the vision I have for our house. I mean, it's likely that I'll totally mess up this vision I have, but it's worth a go. I've only brought home a few items so far, but I've been taking tons of pics of all the amazing things I find along the way. So, buckle up...this is three months worth of treasure hunting. Let's get started with a little Craigslisting. One of the main things I've been looking for is a sideboard to serve as a TV stand in our living room. Remember the one I found while thrifting last year and passed up? I've been looking for one with the same shape and dimensions ever since and finally found one just a couple weeks ago on Craigslist. Not only is it nicer, but it was $50, has great hardware, and it's the perfect size. You'll have to use your imagination for now, but this weekend I'm going to strip and stain this thing. You guys ask me tons of questions about the strip/stain process, and I just don't have a lot of experience in that area, so I decided it's time to expand my repertoire. I've got a really cool idea for it, too. I think you might like it. I may regret telling you about this if it backfires. 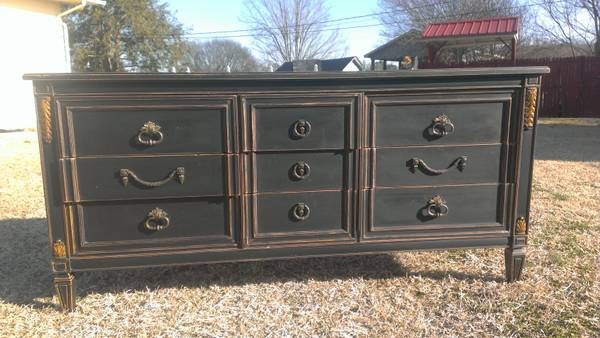 I had to search Craigslist for months to find a sideboard that was the right height (and the right price), so I came across a lot of great stuff in the process. Here are a few of my favorite finds. 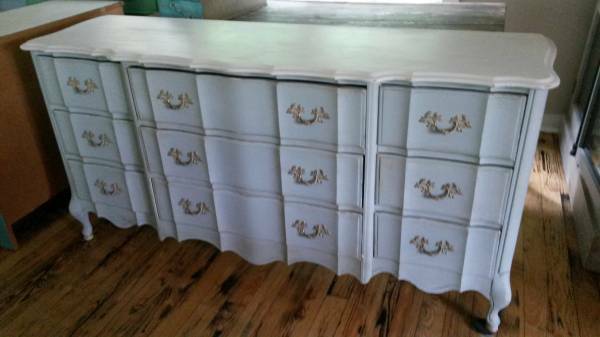 This french provincial dresser was about $100. It's a lot like the one in our master bedroom, and seems to have already been painted a chalky gray, which I totally love. 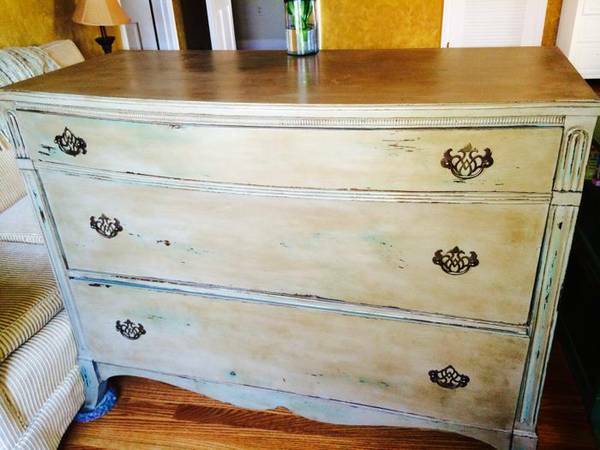 This little antique dresser was also under $100 and had a great shape, too. 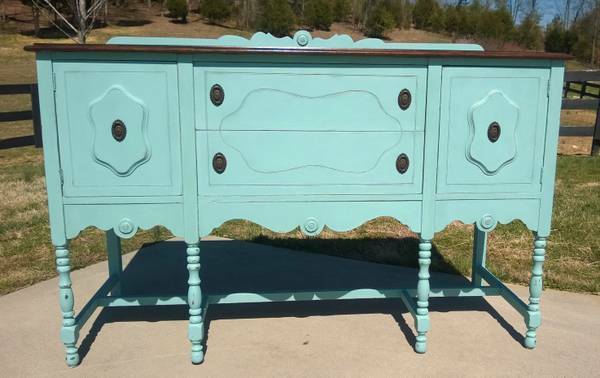 And then this blue painted buffet. 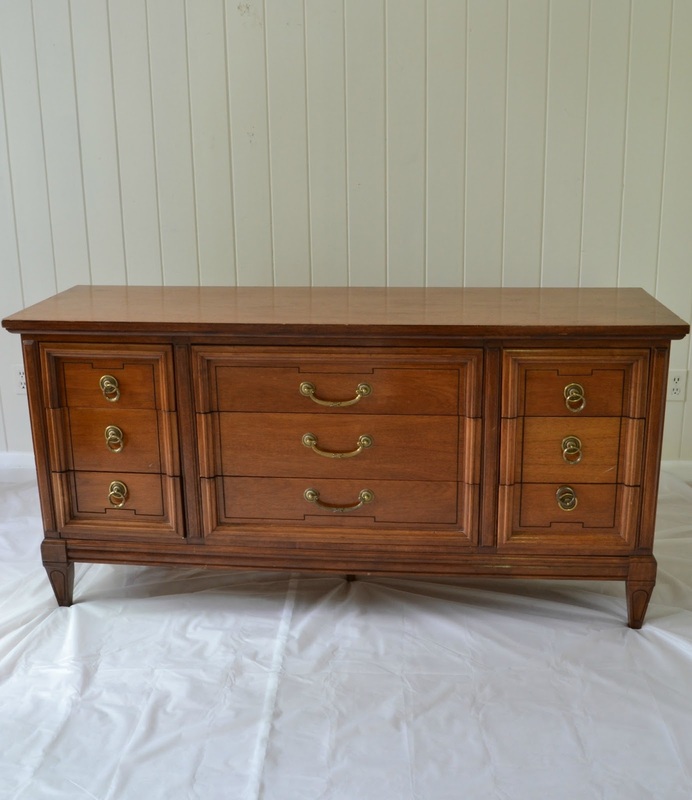 And then this sideboard was a lot like the one I brought home, but it wasn't long enough. It looked a lot longer in the Craigslist photo. And that's why you always ask for dimensions before you drive all the way out to someone's house. Isn't that thing great though? I think this one was a little pricier at $150 (although still a total deal). 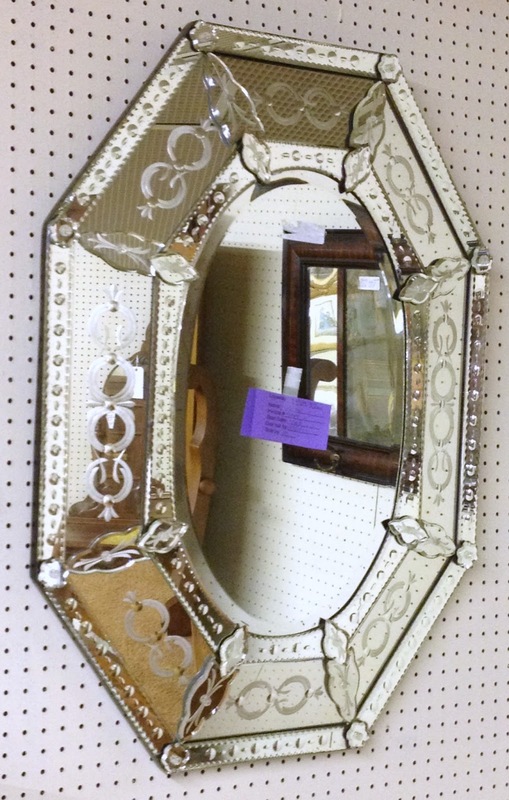 Another thing I always keep my eye open for is a great mirror with a unique frame. 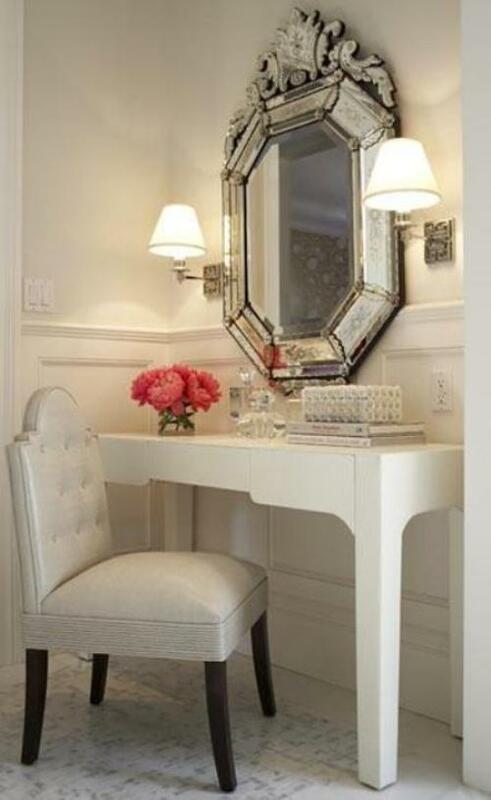 A great mirror can totally make a space. I've found an insane amount of great ones over the past few months. 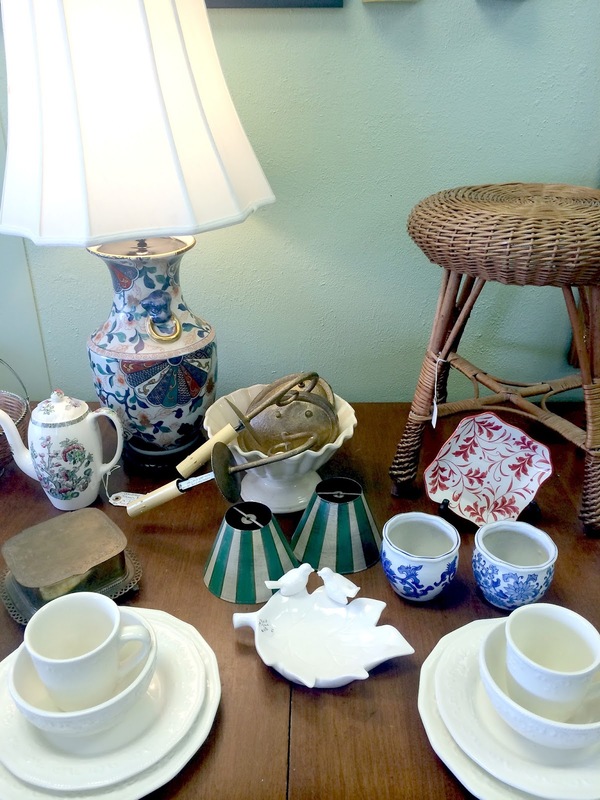 My first few faves were from Dutch Valley Antique Mall. It's basically a giant warehouse with stuff stacked to the ceiling and a million individually run booths. It's more stuff than you could ever look through in a day. And it's so much fun to get lost in there...although sometimes kinda creepy because there's usually only one other person creeping around like I am...and literally, you could get lost in there. But anyways, they have the most amazing mirrors. Pinterest worthy mirrors. 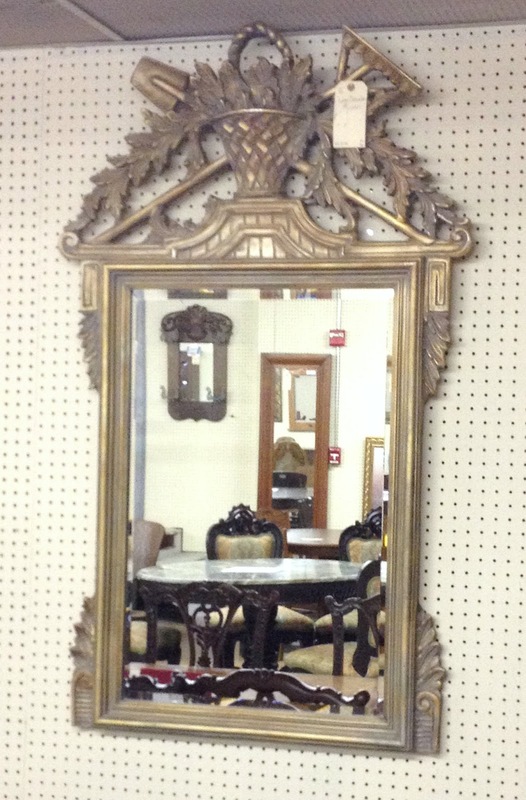 I was so bummed that this Venetian mirror was already sold when I found it. 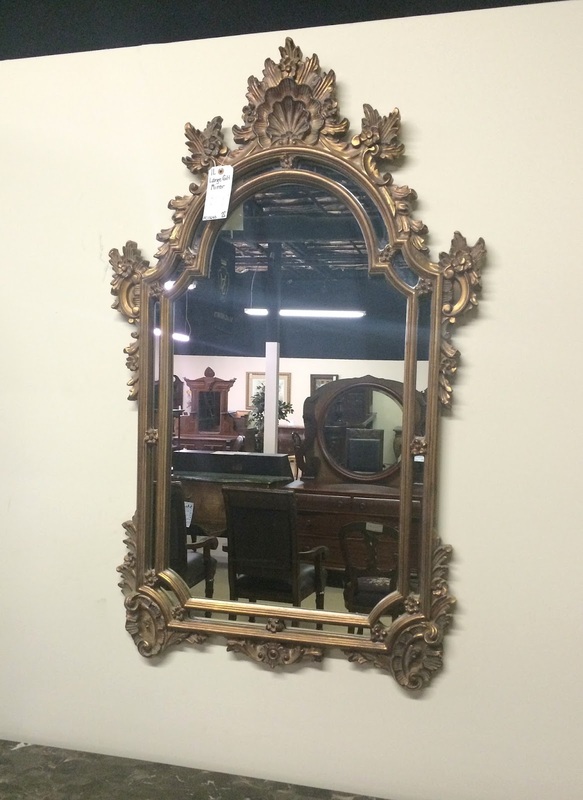 I've been wanting a Venetian mirror forever, and it's totally insane to come across one for under $100. Can't you just imagine it...like this? This one was pretty amazing, too. I know it's a little out there, but that thing would be incredible over a dresser or vanity. I'd bring it home just to see the look on Jesse's face. Or this one. I love this one. Reminds me of something like this. 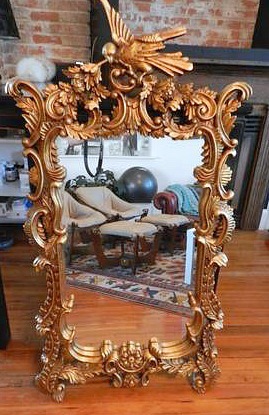 I also found a few great mirrors on Craigslist. Like this bird mirror for $50. I know that seems totally over the top, but get past the orange-goldness. 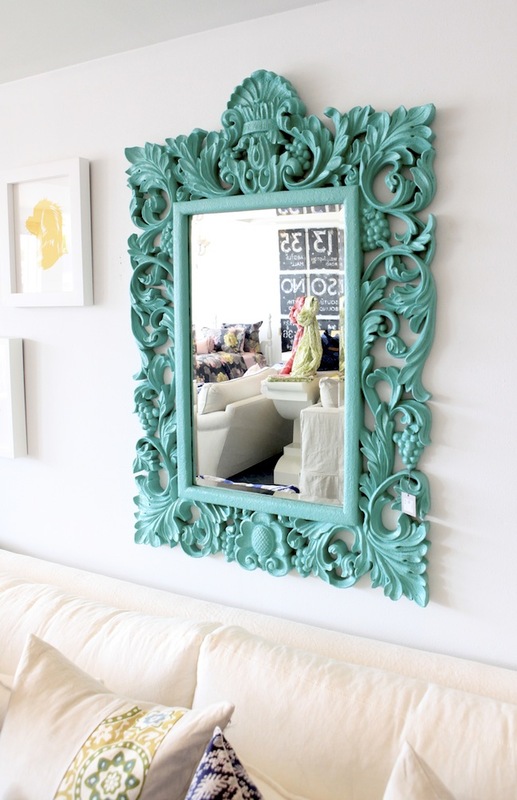 Imagine it spray painted a bold color, like this aqua mirror. Great, right? If you can think outside the box just a little bit, you can incorporate some ornate stuff into your decor and have it look really updated and amazing. 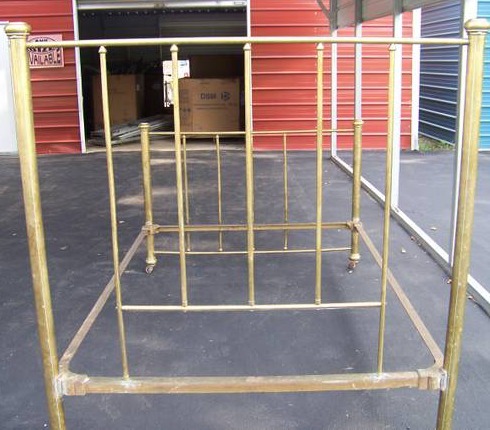 And also, random tidbit, if you're ever looking for an amazing brass bed (which seem to be on-trend again), there are mass amounts of cool ones on Craigslist. Like this one for $40. Anyways, aren't those all such great finds? 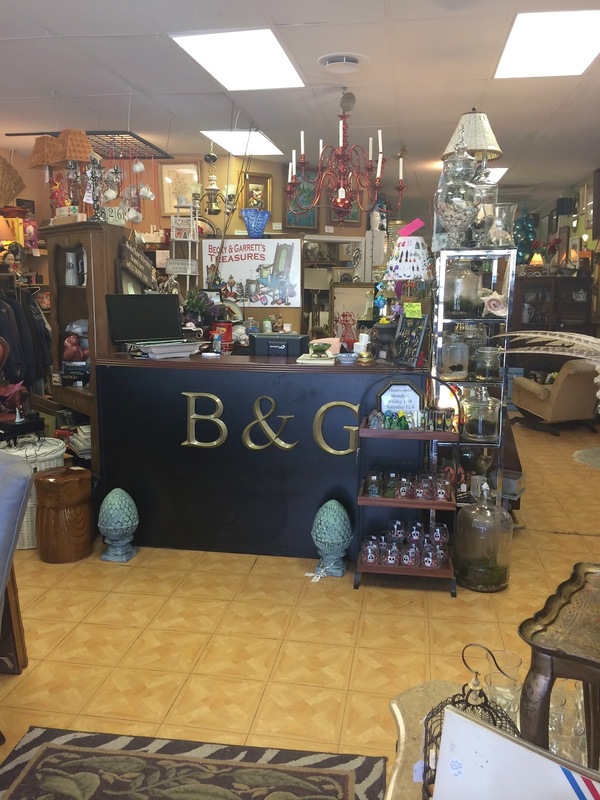 Another one of my favorite stops is a local place here in Knoxville called Becky & Garret's Treasures. It's a little second hand/vintage type store with amazing finds that are usually pretty inexpensive. I could spend all day in this store. They constantly get new stuff, and 99% of it is secondhand and totally unique. They have tons of little trinkets and accessories. That mirror was about $25 and very similar to the one I have sitting above Vern #2. They also had this great convex mirror. I got so excited, but passed it up because on closer inspection it was plastic. So close! I'm determined to find a convex mirror to add to a gallery wall. 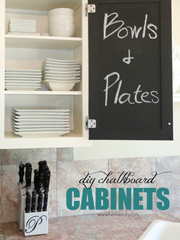 They also have great little accent furniture, and most of the time it's already painted. Check out those blue and gold lamps, too. Add a couple modern drum shades and amazing. I actually brought this brass leaf plate home. It was just $2, and I figured it would be a great catch-all on a coffee table or dresser. One of these days I will have a coffee table. Life goal, ya'll. Very sad little life goal. They also had this amazing crystal chandelier. It reminded me of this one. And I also found an insane amount of lion head stuff. It would have been funny, had I not wanted to buy them all and hoard them. That made it more of a 'flee' situation. 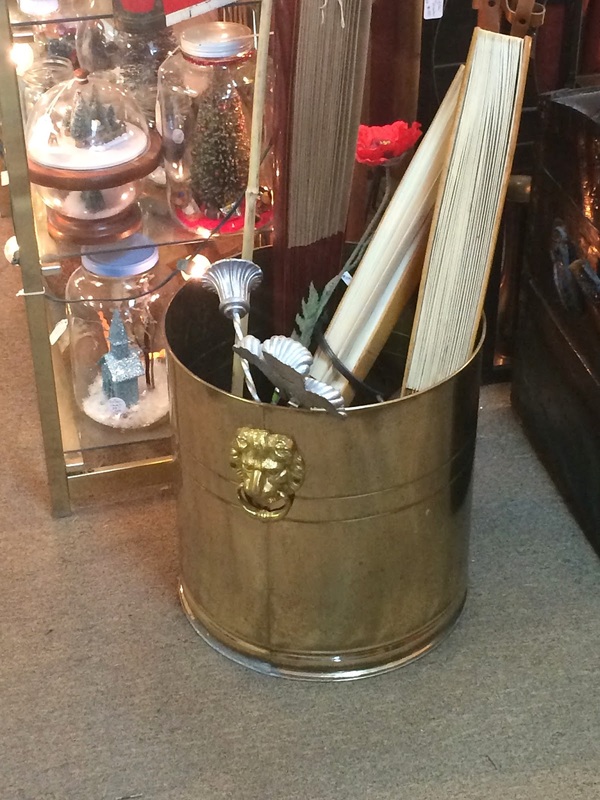 Check out this brass bucket. How awesome would that be on my fireplace? The problem is that I pass up on all this amazing stuff because I am such a tightwad. And then I end up coming home with a $2 leaf plate. I guess that's probably a good problem to have, but it's hard to feel that way when you walk away from a Mufasa bucket. And then there's just an entire room filled with goodies. Like the bench...and the horse head on the bench...and the big silver tray leaning on the bench. 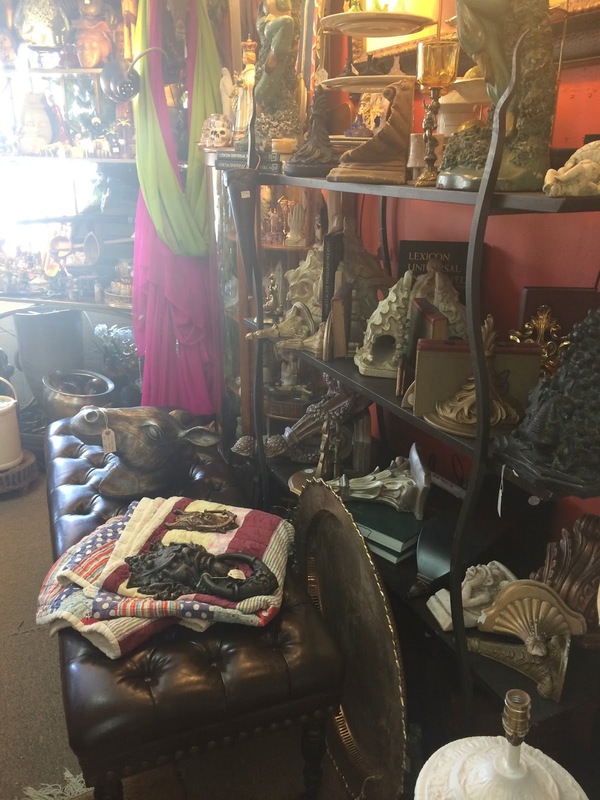 One of my readers actually told me about this amazing place earlier this year when I wrote about my thrifting secrets. And then I went, totally fell in love, and realized that my mom's best friend actually used to run an amazing thrift store in this exact same building before he moved away to the Myrtle! Random fact of the day. Another one of my favorite places locally is called Cottage Door Antiques. It's kinda like Becky and Garret's....they just have rooms and rooms of random stuff, and you never know what you'll find. And it's all second hand or vintage. Sorry for the blurry photo. I literally took that pic from my phone while driving by today. I love blue and white pottery, ginger jars, etc. and brought home these little bowls for a dollar each. I kinda love that lamp, too. And then I got this little silver jewelry holder for $2 to hold all of my little tidbits of jewelry that I wear everyday. Because I keep wearing my earrings to bed and then flinging them off onto the floor when I'm half asleep, and then the vacuum eats them. Even though I usually buy them in a 10 pack from Target for $5. So, the blue and white bowls ended up being perfect little containers for my makeup atop the silverleaf vanity. And perhaps the cuteness of the silver box will entice me to be a responsible jewelry owner. And last but not least, a few other finds that I brought home that weren't second hand, but that I found on clearance in some of my favorite spots. I did end up bringing home a mirror afterall. I found this rustic sunburst mirror at Hobby Lobby in their clearance aisle (it's usually an entire aisle for 90% off), and it was $20. I was physically incapable of not bringing it home. And it ended up in one of our newly redone rooms. I'm not sure if it will stay there, but for now it's a good fit. 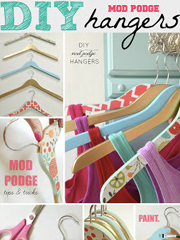 Sidenote: You can also get regular priced stuff at Hobby Lobby for 50% off using their online coupon (click on the right hand corner where it says 'printable coupon'). I actually have their app on my phone and just pull up in the store and they scan it. And then I also found a few great things at Southeastern Salvage (one of my all time favorite places that I'll talk about in detail in the next post in the series). I have to wait to tell you about a couple of my finds from there, but one was this rug on clearance for $60, and although it might seem slightly insane, I promise you, I have a vision. Or I might just admit I'm crazy in a few months when I can't figure this thing out. Either way, a worthy gamble. Also, you probably remember this pic from my Instagram when a bird pooped on my shoe. Raise your hand if you think bird poop + hot pink rug = great place to end. So, I already have about 6 other places to tell you about (3 of my favorite thrift stores, more about Southeastern Salvage, a little ReStore action, an estate sale, and whatever else I come across from now until then), but we'll save that for part two because there's already over 30 pictures. And you guys have a life to get back to. Have a great Memorial Day weekend, and I hope to be back next week with some updates on the house, possibly involving chandeliers and/or a painted stair rail. I started my day off, getting punched (kicked?) in the eye by my 90 lb dog. Now, you've just made me miss Tennessee... more than I normally do. Clearly I needed to explore Knoxville more instead of just stopping at Pigeon Forge!! Excellent finds! So glad to know ya'll like the rug! Love this post! Can't wait for the next one. Great finds! That little jewelry box just stole my heart--I have the SAME problem with my earrings, so I started putting them in a little antique tea cup on my nightstand that was my grandmothers. I still need a better solution for the rest of my earrings though!! (I've put some stuff up on the walls, but still need to truly accessorize my bedroom I just painted!) 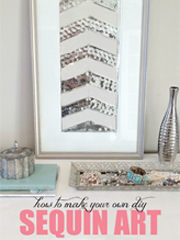 ;) I also love that Venetian mirror--you do totally need one of those!! Another lover of the rug. Hey Virginia. 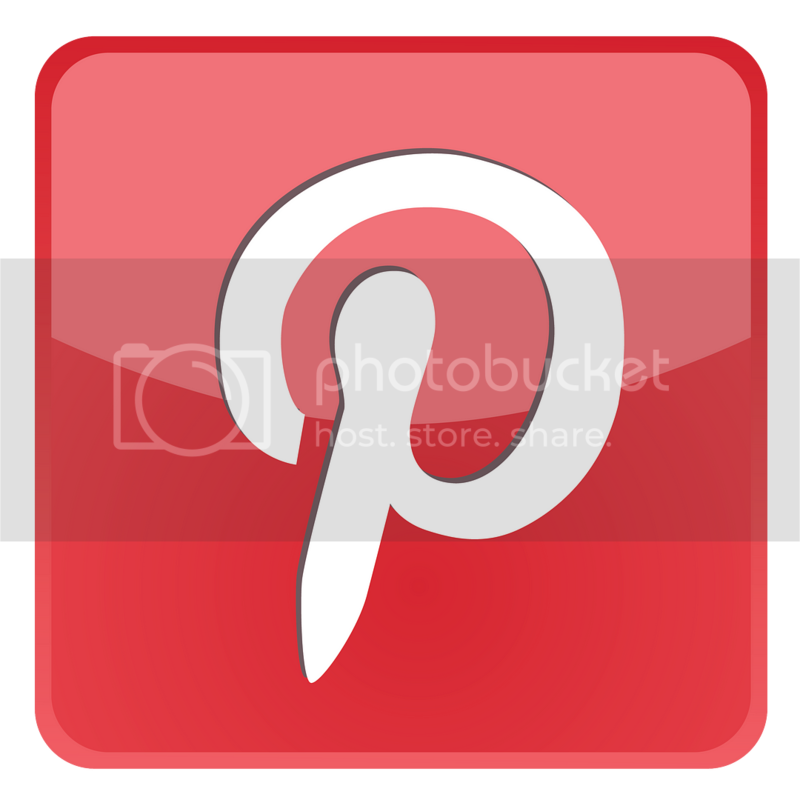 Great blog!!!! I've been a thrift store addict for 40 years when "secondhand" was shhhhhh dirty word. But I. Did. Not. Care....so I have a houseful of gorgeous treasures including (my apologies) several great chippy convex mirrors, blue & white porcelain, repurposed and upgraded furniture. My unique style and not always understood. But it's me!! Love love love the rug. Can't wait to see what you do with it. Yours in thrifting. Big Kiwi shout out to you. Upside down hammer dancing as we speak. Just in the right place at the right time....you totally know how it goes. Are you like me and do you get a deep-seated feeling when you just "know" you are going to find something special. I just can't wait to get out of the house on those days!! Call it Thrifting Intuition maybe? It's weird but it's totally good!! I have thrift store envy! We have nothing like those places, or prices, out here in WA state. Loved this post! Keep them coming!! 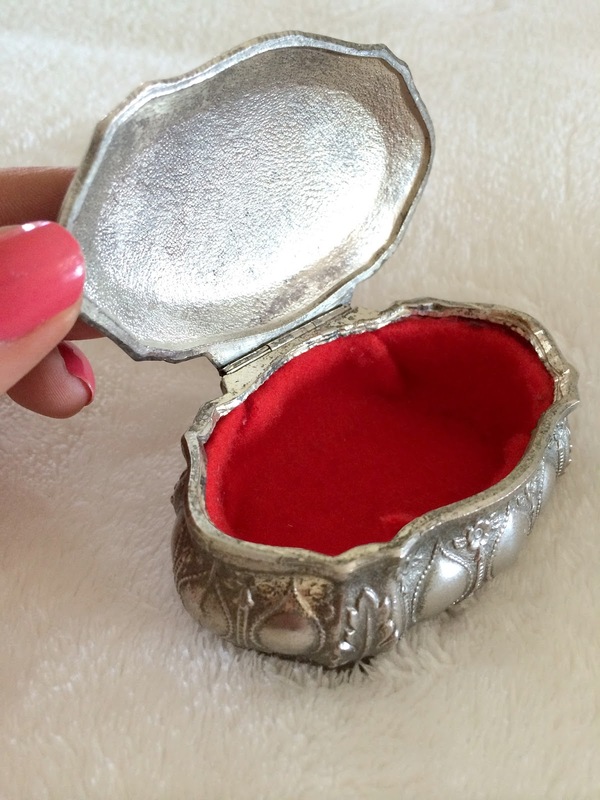 Just had to share that I bought a little silver box yesterday almost identical to the one you have, at the thrift store near my house. Same bright red liner, size and color. The detailing is different but the same style. Do you have a picture of the top of it anywhere? I would love to see it. Also, I'm a total bragger and got mine for 80 cents! OMG! Your post makes me want to go thrifting NOW!!! 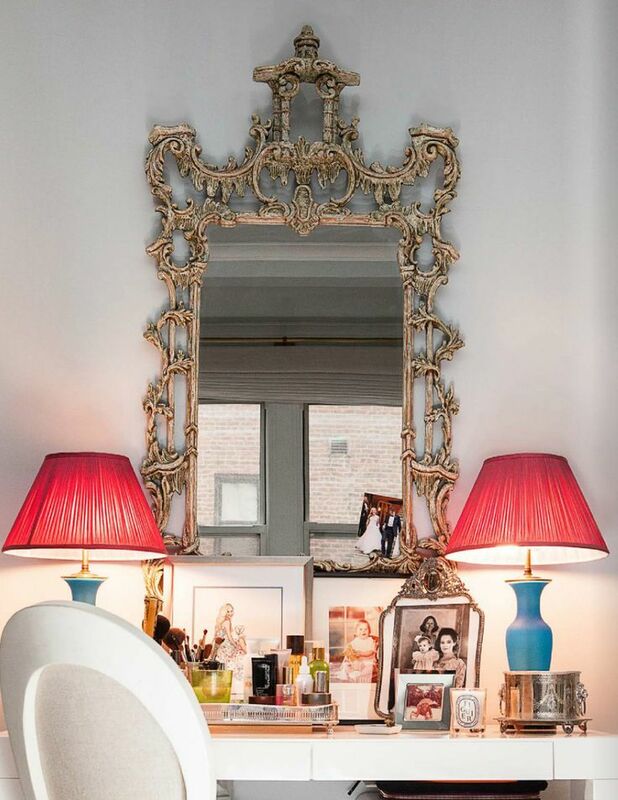 Venetian mirrors...ornate frames...crystal chandeliers...horse head on a bench= LOVE! I love this post. I have been thrifting since I could drive.I always seem to go for the unusual stuff. I just found a new little shop and can't wait to check it out . 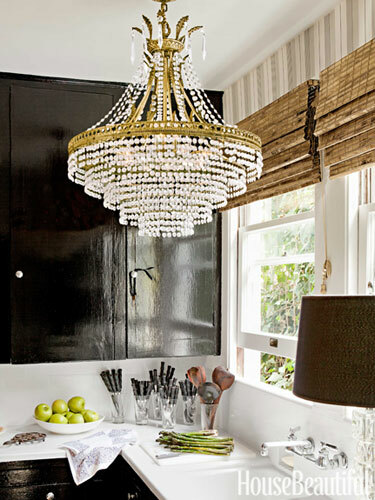 Oh, that crystal chandelier is divine! I love this series! I am a sucker for yard sales and such! 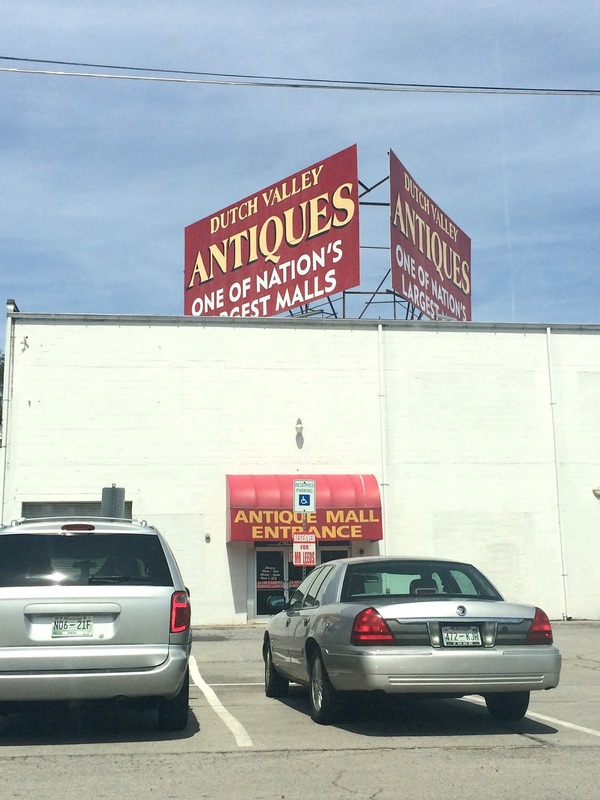 I went to my first big outdoor antique and wrote all about it. Super fun! I'm in love with this post!! This really makes me want to hop in my car, and drive down to all of these shops. Totally not a creeper by the way, I just thoroughly enjoy your blog haha! And I'm pretty sure I have the same silver jewelry holder! Can't wait for the next post in this series!! 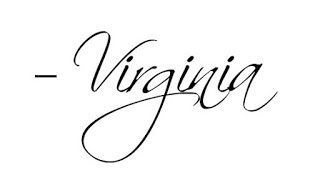 Hi Virginia I have a dumb question. 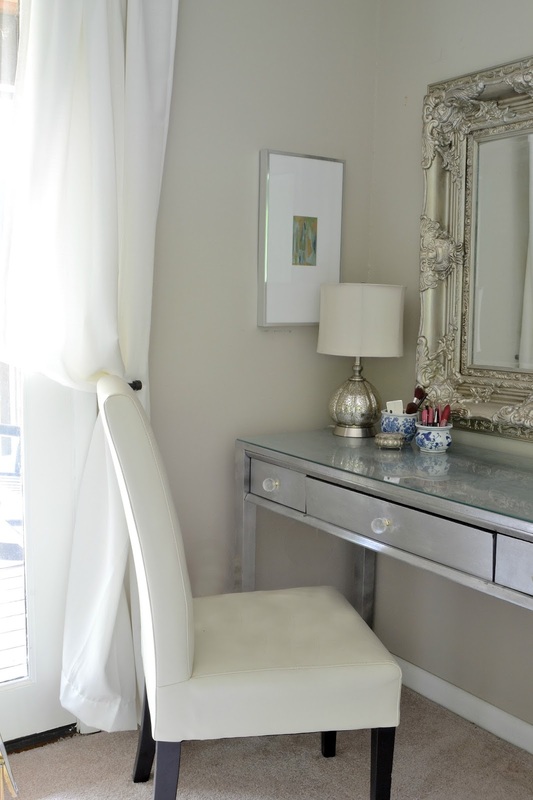 How do I get a black mirror kind of what you have over your silver leaf vanity that color? Also how long do I have to wait after spray painting a ceramic purple vase with the High performance spray paint to turn it a pretty white, I spray painted it once and before it was completely dry, went over it again? In addition to that mirror I want to get two sconces to look the same? What spray paint was it? I just want to say that I love how in your posts you include hilarious side comments in a different font, those always make me chuckle. In my head, that's "Carolina, your alter ego". ;) Great thrifting post! Remember me? (of course you don't) we're kitty cat soulmates (aka hoarders who will one day have ALL THE CATS) slash BFFs who have never met in person. Just ignore me, I'm getting creepy. Anyway, this: "...but it's hard to feel that way when you walk away from a Mufasa bucket" *I died*. Still laughing. Just FYI with the brass bed, don't do it!!! My grandmother had a brass day bed. I was relegated to polishing that thing. Because it has to be polished. All. The. Time. Plus, if you touch it with your bare hands (which you will, more than you realize) your hands will then smell like metal. And when you're sleeping, all you'll smell is metal. Go ahead, sniff your $2 brass leaf! You're doing it right now, aren't you? 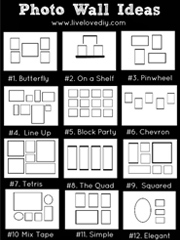 PS please come decorate my house. I will shoo all the birds away before you get there. Not that I have a lot of birds. Because cats. Your posts always make my day!! Thank you for being such a visionary! 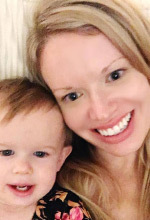 I just found your blog and cannot wait to read more. I too am a thrifter and re-purposer through painting my finds. 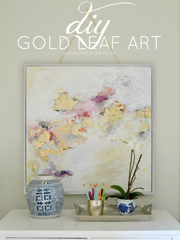 Have you ventured into estate sales or auctions? They can be quite a bit higher than thrifts and yard sales, but if you hit them on the last day, you can generally get better deals.